Cranberry was found stuffed in a trash bag at Wissahickon Valley Park on Tuesday, November 22, 2016. 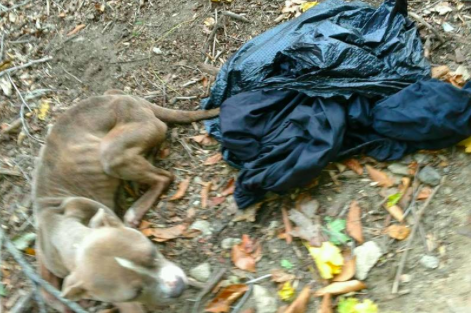 The Pennsylvania SPCA is hoping to rehabilitate an abused pit pull who was found stuffed in a plastic trash bag Tuesday afternoon at Philadelphia's Wissahickon Valley Park. Barbara Adams took her puppy Samson out for a walk at the park Tuesday when she noticed her dog preoccupied by a trash bag beneath the McCallum Street Bridge. Adams placed a call to PSPCA's Humane Law Enforcement Team, which sent out two officers to investigate the scene. The female dog, affectionately named Cranberry, was transported back to the PSCPA shelter in an emaciated state. She's listed in guarded condition. Cranberry recovers at PSPCA shelter. 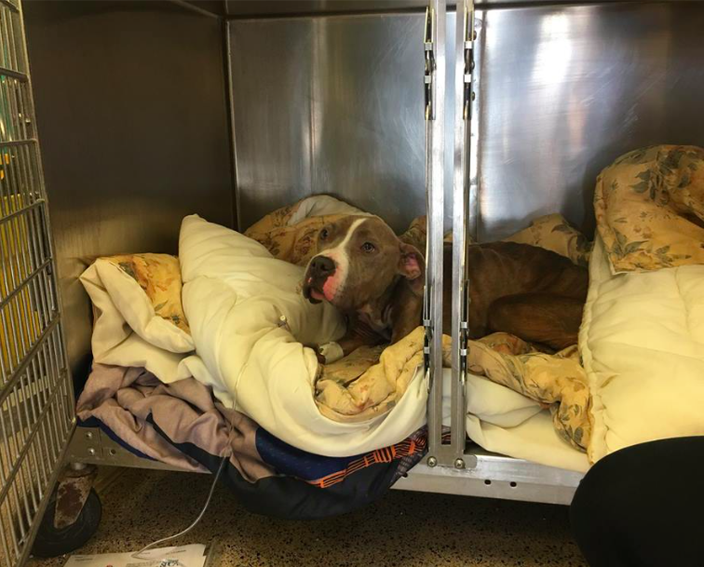 PSPCA has set up a donation page for the public to help with Cranberry's recovery. Anyone with information about individual responsible for dumping Cranberry is asked to call the PSPCA's cruelty hotline at 866-601-7722.